Mitsubishi was determined to be the premier JIT supplier to Silicon Valley through world class products and service to their customers. High order accuracy and precise delivery is critical to their customers. They fully achieved this goal with an ASRS (Automated Storage and Retrieval System) which reduced order cycle time 15-20%, provided 99.9% inventory accuracy and allows Ship-to-WIP possible. Once products are received scanned into the system from barcodes, they are routed automatically to the appropriate area for storage. 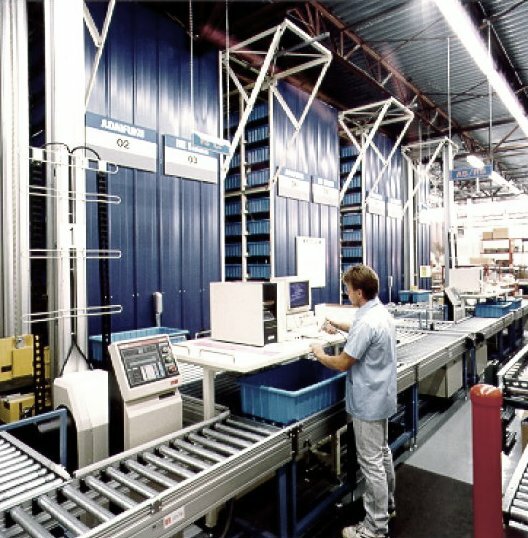 Those components which require a high level of inventory accuracy are routed to this ASRS system for put away. This system is handling 1500 different part numbers and has the capacity to store thousands of totes which gives them the flexibility to store only one part number in each tote ensuring greater inventory integrity and picking accuracy. The priority is picking cycle time. The operator has the ability to prioritize which orders should be processed first from the electronic order system. 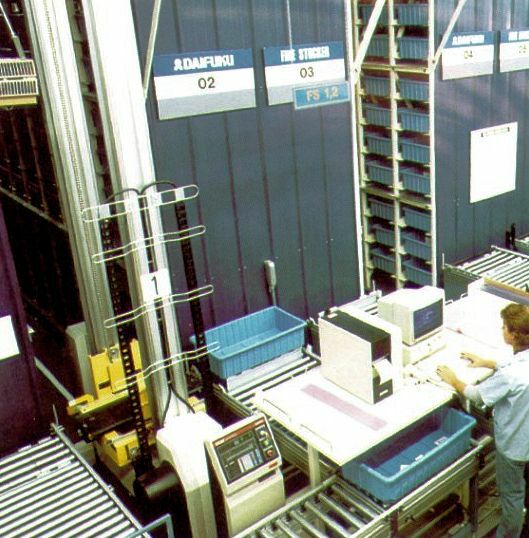 Upon processing the ASRS retrieves all the components for that order and the operator verifies the pick with a barcode scanner. During the pick, the operator also validates the quantities remaining in the tote eliminating the need for a physical inventory count. The order is then conveyed to manifesting and shipping. During idle picking periods, the operator can put away received goods without having to batch them all at one time.